In 1991, what was once the Studio Shop became the OAS Gallery. This space provides a venue for members to exhibit and sell their work in either group or solo shows. The OAS Gallery is enjoyed by members as well as the public. To have presence in the digital world, Oakville Art Society has created an on-line gallery on their website. Members can show their work in this digital gallery as well as have a link to their personal on-line portfolio. In 2006, the Gallery members organized a studio tour for current OAS members as well as other Oakville artists to introduce them to the space. The Studio Tour continues to this day. As of October 2013 a new venture will begin at the Society called the Creative Book Club - an artists' book club that will meet monthly or bimonthly to discuss and experiment new techniques from that month's chosen art book. 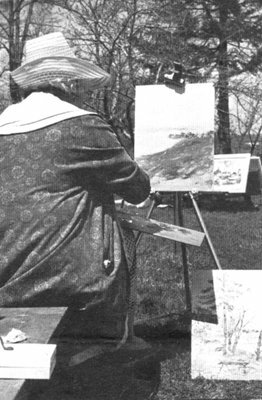 Adult art classes are still one of the Society's main focus. As in the past they offer traditional art classes like, acrylics and mixed media, watercolour, Chinese brush painting, and jewellery making; however, the roster has expanded to include digital art forms such as digital photography and using Art Studio on your iPad. 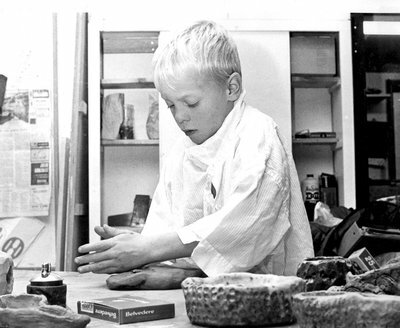 Pottery classes haven been and continue to be a big part of the Society's programming. In recent years, OAS has seen an increase in the interest in pottery, a trend which is happily received by the Society. The OAS also offers art classes for children. Some of this years classes include: Learn to Paint & Draw, Play with Clay, Having Fun With Caricatures, Colour Explorations, Fantastic Creatures and Places, Creating Comic Strips and much more. 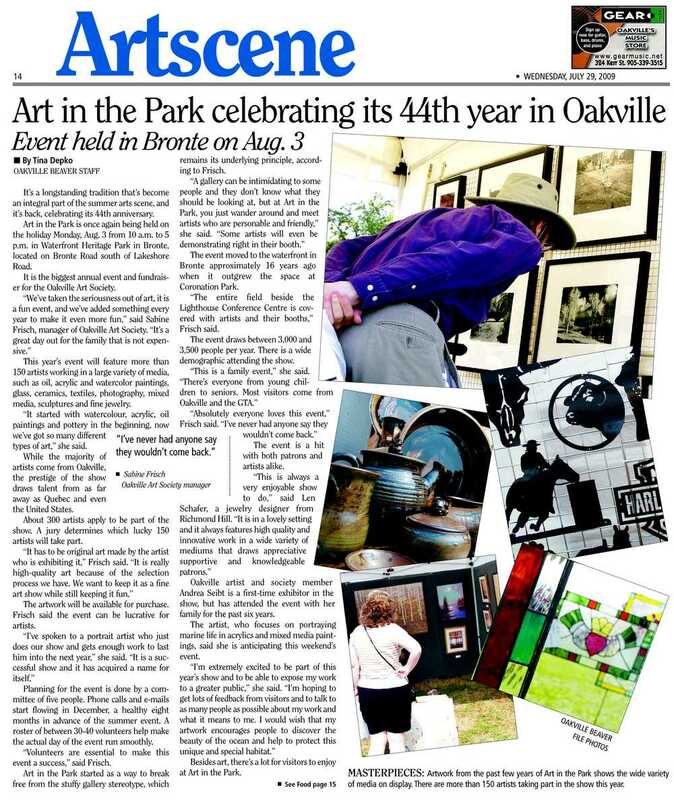 Current President, Brenda J. Smith, has started to organize and write a history of the Oakville Art Society. Her preliminary work has been a great help for this project, many thanks to her! Please visit the OAS website to learn more about current classes and events.